I just bought MyGica T230C and installed it on Window 10 using the drivers I downloaded from the MyGica site. 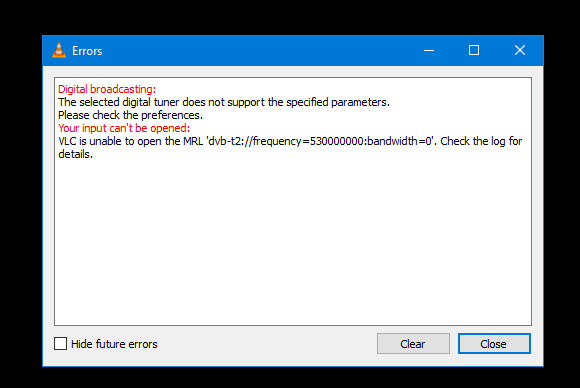 Using VLC I can scan and receive DVB-T channels without a problem, but when trying to choose DVB-T2 in the VLC settings I get a message saying the device does not support DVB-T2, I attached images, can you confirm(and maybe help me) that this device support DVB-T2 since that's what it says on the manual/box/device manager etc.. Which country you are residing? Try the driver for T230C-DE and the related software - Total TV Player (you will find both of them in http://www.mygica.com/support/). I was able to find all digital channels (DVB-T2) in Albania by selecting Italy as country (search for all channel not only Free ones because some TV broadcasters misidentify them). 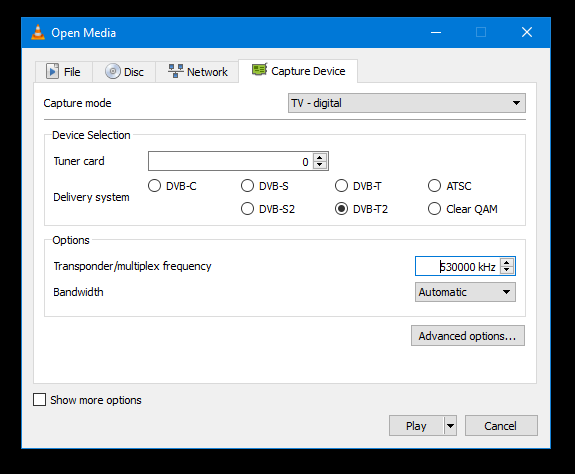 I prefer MPC-HC as TV player, which I find better then Total TV Player, but it requires a bit more effort in pre-configuration (3-4 options).